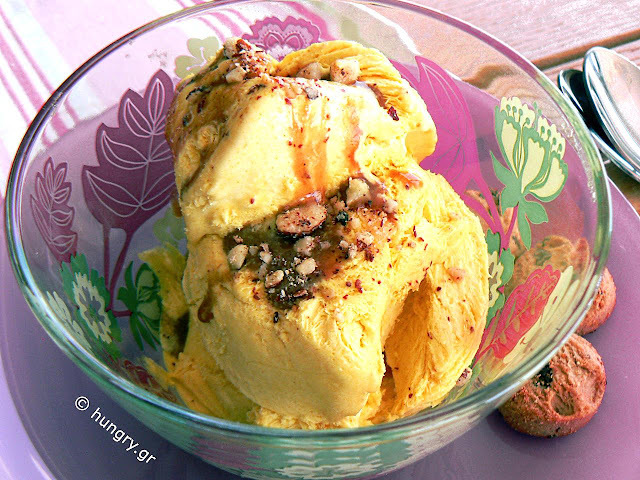 Parfait Ice Cream with turmeric, chopped blanched almonds and sweet bergamot! 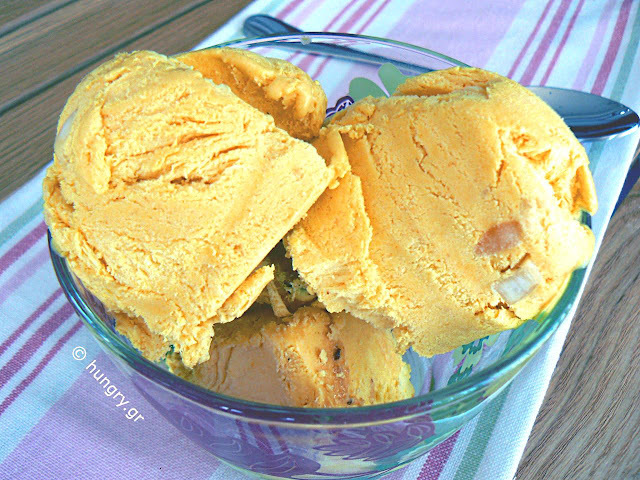 Delicious, homemade, frozen delicacy for pleasant summer flavors at our table. 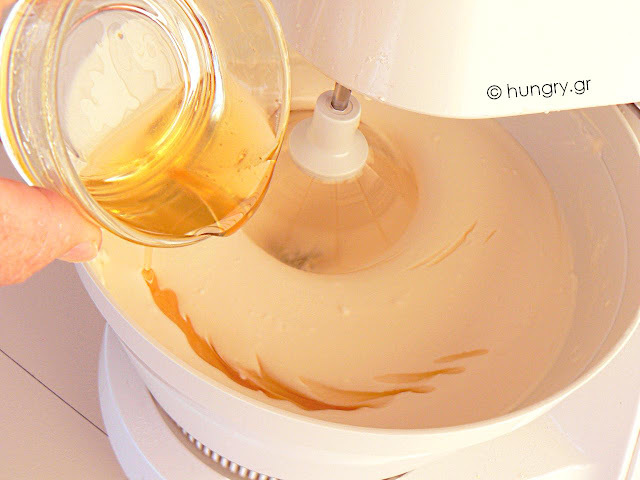 Easy and quick to make, without specialized ice cream maker since it does not need continuous stirring. It will not form ice crystals. 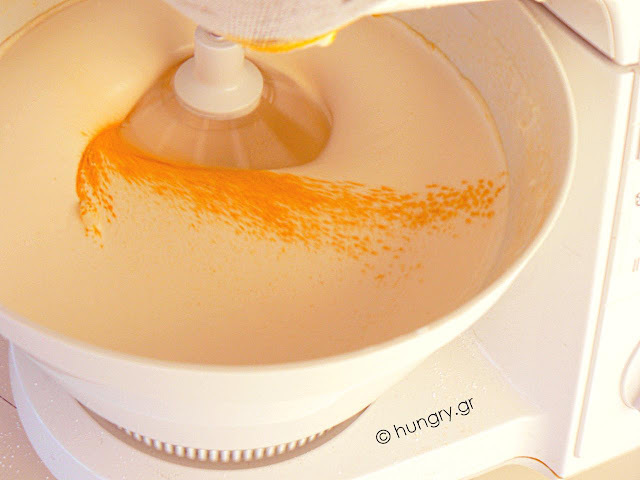 Turmeric gives it a beautiful, pale yellow nuance, on top of its beneficial properties. Put the cream and milk in the fridge from the day before. 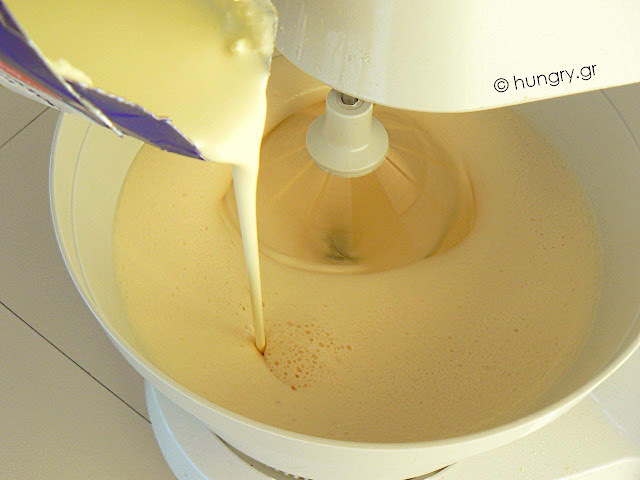 Beat the milk in the mixer, gently at first, then faster until it thickens. 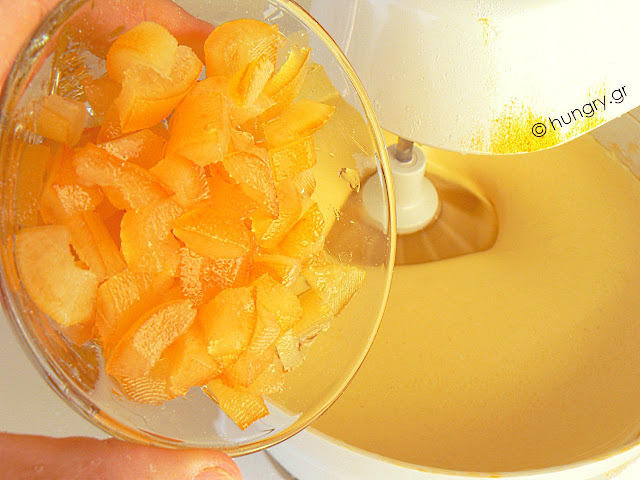 Chop finely the candied fruit and add to the ice cream mixture. 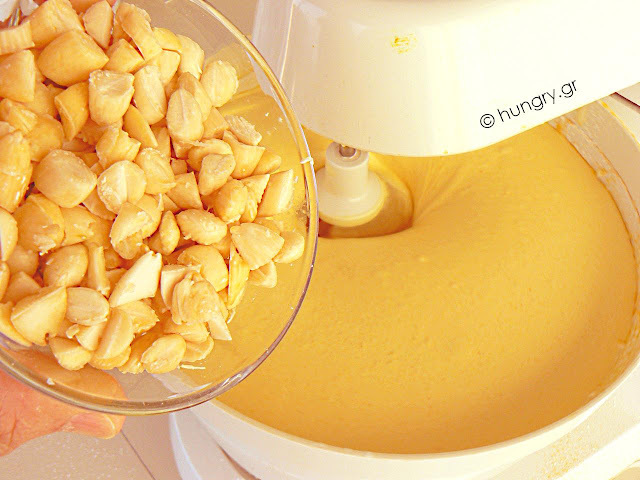 Cut in half the blanched almonds and pour into the mixing bowl. Continue beating for a while. 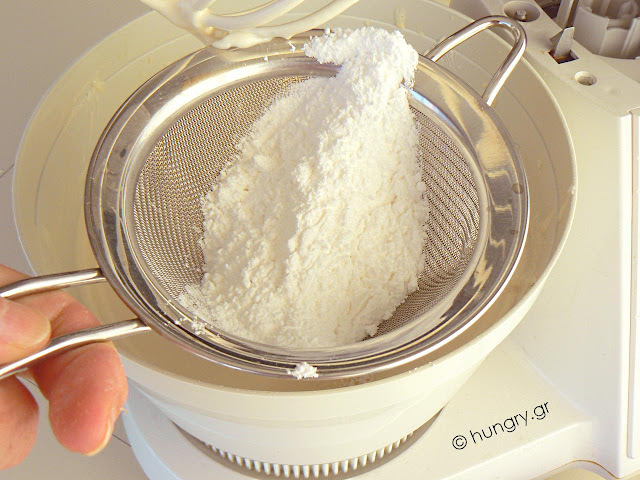 Pour the mixture into the pan, covered, and put it in the freezer overnight. 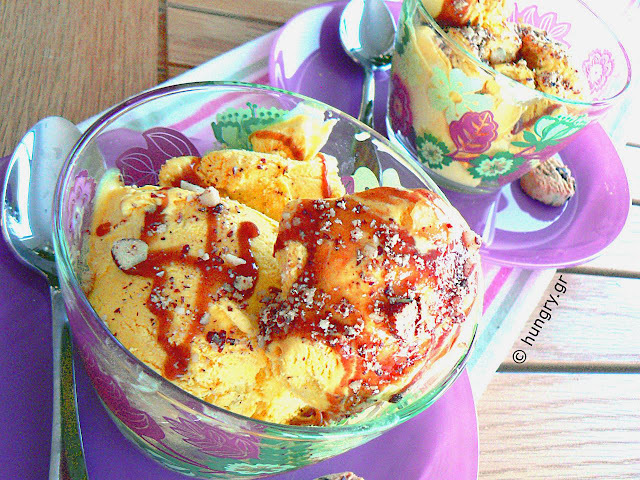 For unsurpassed flavor drizzle with caramel sauce and roasted, ground almonds. 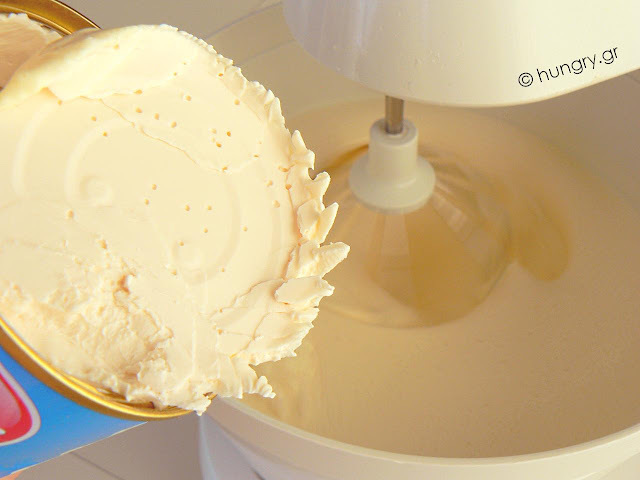 Soft ice cream/ mousse which does not freeze completely, even if you leave it in the freezer, no need to stir every so often, does not make crystal flakes and can be easily cut into slices to be served. 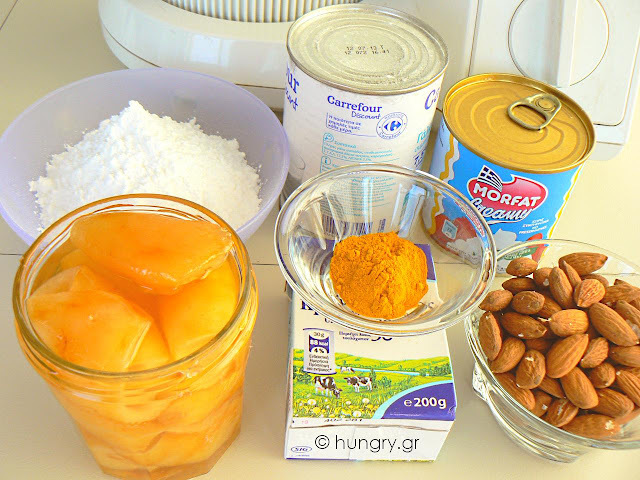 This is made ​​with egg yolks, with honey, and sprinkled with roasted pine nuts. Delicious, dessert with the strong aroma and flavor of honey. 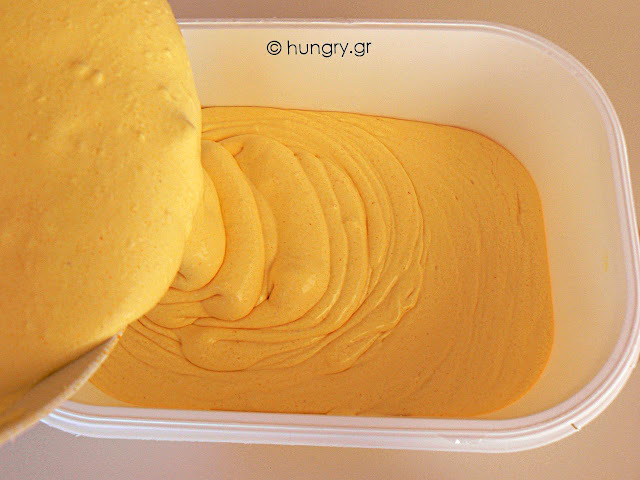 Refreshing, silky and fluffy. Can be served in more formal gatherings. Decorate your cake with crushed transparent caramel pieces that give a formal look! Sweet, delicious, frozen torte, slightly "tipsy", thanks to the liqueur that infuse the sponge fingers (savoiardi) and full of aromas from the coffee and dark chocolate. Whole pieces of chocolate hidden in cream, will surprise you with their crunchy texture. If you like the combined flavor of the ingredients, do not hesitate to enjoy it now that the days of our life have become warm.